According to a recent report from iFixit, the new MacBook Pro is one of the least repairable laptops they have encountered. 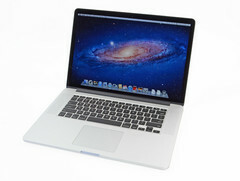 The new MacBook Pro has been scored as 1 out of 10 by them in terms of reparability scale. iFixit is a site that usually helps its users to repair their devices on their own, or we may say provides repair manuals for various Products. It seems like Apple has been quite successful in protecting their devices from being repaired by independent repair persons. It has been assembled with proprietary pentalobe screws that prevent you from gaining access inside the device. Even the RAM has been soldered to the logic board and the battery has been glued to the case rather than being screwed. They have also said that even the SSD cannot be upgraded. If you try to change or disassemble the device you might end up with breaking some important part. So the new MacBook Pro users might prepare themselves to get stuck with the same hardware, and will not be able to upgrade it by themselves or with the help of some local repairman.